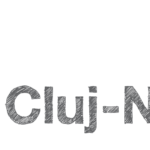 Startup Weekend Cluj in partnership with Impact Hub Cluj-Napoca is taking you on a learning path about pitching. An elevator pitch can prove to be extremely useful. Whether you’re trying to find a team for your startup idea, or to raise capital, this is an important step that is worth taking time to develop. Short enough to deliver your concept to another person while you both share a ride in an elevator, a pitch can be an icebreaker, powerful enough to spark up a conversation. It is said you only have a few seconds to make an impression on someone, so why not make them count? Join us to learn about pitching, and to receive feedback on your own pitch. Andrei Homorodean, CEO @ Visitor Analytics & Corina Stirbu, CMO @ Visitor Analytics. Startup Weekend is a concept created in USA and expanded all around the world. Participants pitch new business ideas, form teams around those ideas and work on them during the weekend, while being consulted by experienced mentors. The goal is to develop a working prototype, demo, or a presentation by Sunday evening.